and upper level seminars on such topics as: Music and Orientalism, Music and Gender, and Music and Politics. Founded in 1994, the W&M MEME, has become an important part of the department, the program in Middle East Studies and the campus community. 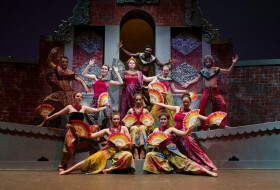 The ensemble hosts numerous guest artists from various Middle Eastern musical and cultural traditions and performs in contexts that range from elementary schools, to academic conferences and arts festivals, to formal concerts. Instrumentation in the ensemble includes ‘Ud (Middle Eastern Lute), Violin, Viola, and Bass, Qanun (zither), Darabukkah, Riqq, and Daff (percussion instruments), Nay (reed flute) and singing in the major languages of the Middle East region: Arabic, Turkish, Farsi, Hebrew, and Ladino. Visit the Ensemble website at: http://www.wm.edu/as/music/ensembles/nontraditional/meme/. 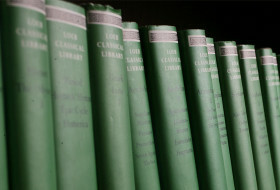 Students who were introduced to the field of ethnomusicology through Rasmussen’s courses, academic conferences, and invited guests to the college, and the Middle Eastern Music Ensemble have pursed advanced degrees in ethnomusicology graduate programs at various institutions including Indiana University, Brown University, The University of Texas at Austin, New York University, and the University of California at Santa Barbara, the University of Limmerick, Ireland, and Wesleyan University. In spring semester 2007, Rasmussen served as the professor for the William and Mary in Washington program. The theme for the semester was “Washington and the Arts” and 14 student-interns, along with professor Rasmussen explored issues of arts patronage, policy, programming, production, education, artists, audiences, contexts, histories, communities, and individuals through visiting some of Washington’s important institutions of arts and culture and exposure to leading figures in the Washington arts world. The participating W&M students pursued internships at National Gallery of Art, Red Dirt Sculpture Studios, the Hirshhorn Sculpture Museum, Smithsonian Folkways Recordings Co., National Portrait Gallery, National Public Radio: All Things Considered News Program, Slate Magazine, Center for American Progress, National Geographic Traveler Magazine, Washington Choral Arts Society, Worldwatch Institute, Smithsonian Museum of American History, and the Wooly Mammoth Theater. Rasmussen’s research and publications encompass three related interests: Music and culture in the Middle East, with a special interest in the Arab diaspora, American musical multiculturalism, and gender, politics and religion in Indonesia. Based on two years of ethnographic fieldwork in Indonesia, her book Women’s Voices, the Recited Qur’an and Islamic Musical Arts in Indonesia is under contract with the University of California Press. 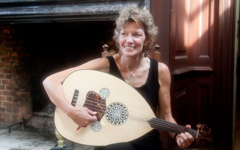 Her continuing teaching and research on Music and Culture in the Middle East and Arab world culminated most recently in the 5th edition of the popular text Worlds of Music, Edited by Jeff Titon, which includes her new chapter “The Arab World” (Schirmer 2008). Her interest in Arab American music and community and American musical multiculturalism is represented most significantly in the book Multicultural Musics of America that she co-edited with Kip Lornell (Schirmer 1997). She has also been involved in the production of a four compact disc recordings. Rasmussen was a Fulbright senior scholar in Indonesia and a scholar in residence at Cornell University. She is the recipient of the Jaap Kunst Prize for the best article published in the field of Ethnomusicology in 2001 and received a Phi Beta Kappa Award for excellence in teaching. She has served on the board of the Society for Ethnomusicology and is quite active on the conference circuit. She has been invited as a distinguished speaker at a number of universities and conferences and is very involved in programming a diverse array of performers and scholars at the college. She has hosted three conferences at William and Mary. She is also the winner of the “William and Mary Raft Debate” and invites anyone to her office to see the handsome Raft Debate plaque that hangs on her wall! 3.2. If you see Rabuba you will say: “I love Salalah”! When I was in Muscat in November 2010 Dan Pattarini emailed me out of the blue inviting me to lunch at the American Embassy. AKR in Oman Part 2 #3: How many ‘uds are too many?